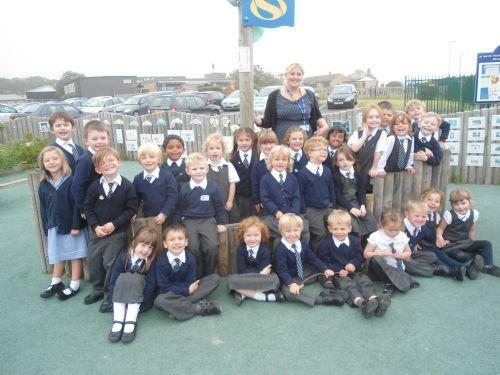 Welcome to St. Martin's School Early Years' Unit! Welcome to the Class 9 page! Our Teacher is Mrs Donald and the Teaching Assistants are Mrs Jones, Mrs Shortle, Mrs Johnson, Mrs Taylor and Mrs Shaw. Daily phonics and maths sessions are taking place. Key Worker time is on a Thursday Morning. This half term we are focusing on fairy tales. The children will be using role play to recall and act out the stories. In the Unit we will have P.E on a Monday afternoon and Library time will be on a Wednesday morning. Take a look at what we are doing in the Unit and click on the links below to play some fun games. We enjoy each other's company. Mrs Johnson helps us to make a Cross. We shared mummies like Jesus shared his love. We love when friends and relatives join us! We have been writing shopping lists. We use things around our classroom to help us. We really enjoy number sentences. We make our own creations. Who knew maths was this much fun! Even the staff had fun. I was a zumba star! King and Queen of the Ball. We waited for the music to start. A fab time was had by all! We have phonics everyday in our groups. We use dough to complete task cards. The day we tasted porridge. Phonics games for all. If you would like to play some fun phonics games with your children take a look at this! Make learning fun. Foundation Stage children love using the interactive whiteboard. Why not have a go at home?